Occupy Wall Street’s pathetic first birthday last week confirmed that the longstanding reports of the movement’s death have not, in fact, been exaggerated. So why are we keeping it alive by talking incessantly about income inequality instead of focusing on what really matters — opportunity and upward mobility? All this huffing and puffing about widening income gaps — coupled with strident calls for wealth redistribution — detracts from the urgent need to shore up our threatened American Dream and develop an opportunity agenda. The nation’s attention should be squarely focused on expanding everyone’s prospects — especially those at the bottom who most need a hand up and a way out. What matters is not how much more those at the top earn in relation to those at the bottom — they are, after all, not in competition with one another — but rather the real needs of those at the bottom and the opportunities for advancement available to all Americans. And while government “spreading the wealth around” would surely equalize outcomes — the Left’s Dream — it would neither address the real causes of poverty nor expand the real opportunities and earned successes that define the American Dream. A new Heritage report defends the American Dream from liberalism’s misguided attempts to redefine it along statist and egalitarian lines and explains why income inequality is not an obstacle to advancement in the United States. What really matters — and continues by and large to thrive — is upward mobility. Statism: The modern administrative state entangles businesses in a suffocating web of regulations and laws. All of this red tape takes a toll on the economy, which in turn leads to fewer jobs being created. And fewer jobs means fewer opportunities for those most in need of jobs. The Collapse of the Family: The decline of marriage, especially among the poor, has devastating, long-lasting consequences on children and their prospects for success. When it comes to the American Dream, the family is not a tangential social or religious issue; it is a crucial economic one that is deeply intertwined with mobility. The Dependency Fostered by the Welfare State: Far from eradicating poverty, the welfare state traps people in poverty by discouraging work and undermining the family. The Erosion of our Culture of Work: By legitimizing indolence and devaluing hard work, our culture decreases the likelihood that the poor, who are most in need of sound cultural indicators, will take advantage of the opportunities America continues to offer. The Failures of Public Education: Our failing public schools deny countless children the rudimentary skills they need to move ahead in the life. The Looming Fiscal Crisis: Unless we change course, continued massive government spending and the surging public debt will destroy the foundations of our economy and put the American Dream beyond the reach of our children and grandchildren. The rise in income inequality in recent decades has in no way contributed to these problems. They grow out of ill-conceived government policies, point to the complete failure of government to address some of our social problems and, in the case of the collapse of the family, are deep-seated cultural problems encouraged and made worse by governmental policies. The United States must remain what it has always been: the Land of Opportunity. Misguided efforts to use government to transform it instead into the Land of Income Equality will inevitably leave us all worse off. Our first priority must therefore be to refocus the national conversation and our nation’s policies on the promise of upward mobility that is at the heart of the American Dream. Last night on CBS’s “60 Minutes,” President Obama claimed, “I haven’t raised taxes.” But, as Heritage’s Alyene Senger and John Fleming report, tax hikes included in Obamacare total $836.3 billion. In a separate “60 Minutes” interview, former Governor Mitt Romney promised to use means testing for future recipients of Medicare and Social Security. A group of Senate conservatives has gathered enough support to block any treaties that come up for a vote during the lame-duck session. 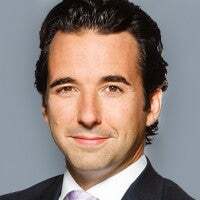 David Azerrad devotes his time and research to increasing public understanding of America’s founding principles. As director of the B. Kenneth Simon Center for Principles and Politics and AWC Family Foundation fellow, he teaches the tenets of the American political tradition to policymakers, political leaders and the public at large, while connecting our founding principles to the thorny questions of the day. Read his research.